What's next for the on-demand economy? Will it crumble and fall or will it evolve into something that we cannot live without? We believe an emerging branch of it will transform businesses with collaboration: Sharing Economy for Work. For most people, the term on-demand economy is synonymous with companies like Airbnb, TaskRabbit, Uber, etc. In other words, it is the clean-your-house, deliver-your-meals, walk-your-dog economy. There are dozens of startups and established companies that offer such on-demand low skill services. They will all be gone soon. Low skill gig jobs are not sustainable in the long-term, as automation will eliminate the need for humans performing routine tasks. We will not need Uber drivers or meal deliverers when driverless cars and delivery drones become mainstream. On-demand services of skilled professionals, on the other hand, have a more promising future. An on-demand house call from a qualified doctor or an instant branding consultation for your new business from an experienced graphic designer is not something that can be easily replaced by machines. Overall, peer-to-peer sharing platforms for simple services obtain a lot of media attention as they are simple to understand and apply to the majority of people. However, once the initial hype is gone, unfortunately, many of the platforms fail to deliver on all they are made out to be. So what about more niche services industries? What is the next winning peer-to-peer business model? 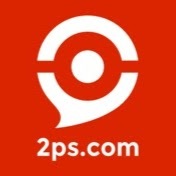 To find the answer, we should explore B2B sharing, more than P2P sharing. Collaborating not only in our personal lives but our professional lives - our departments, companies, industries, all working together for our clients' benefit. A collaborative model for work could be effective in reducing waste and focusing on organizational strengths - smaller, more agile companies or even individuals that partner up and share the work can provide the same value to customers as traditional companies that do everything in-house. The on-demand economy is not a phase, but it's not a final draft either. It is still a work in progress and is evolving into a more collaborative and value-driven version of itself. Next, it's time for business professionals to collaborate. It's time for Sharing Economy for Work.